Aggies Do It Better: Zoya Blaze with Tomoko taped accent! 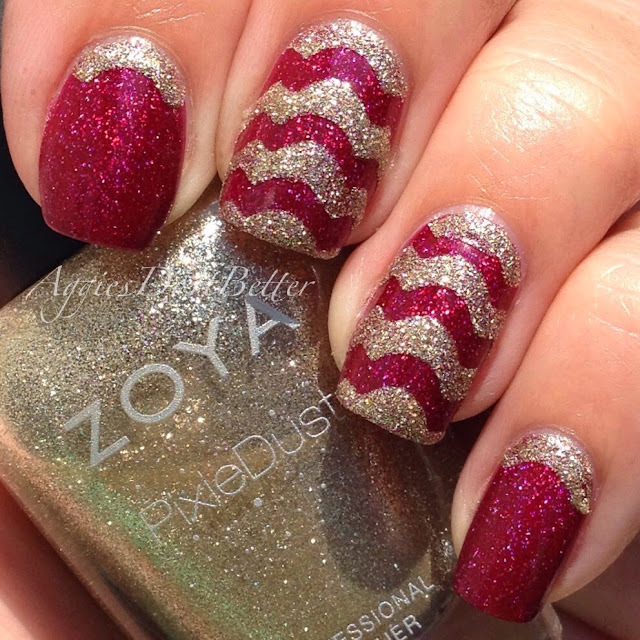 Zoya Blaze with Tomoko taped accent! Hey guys! 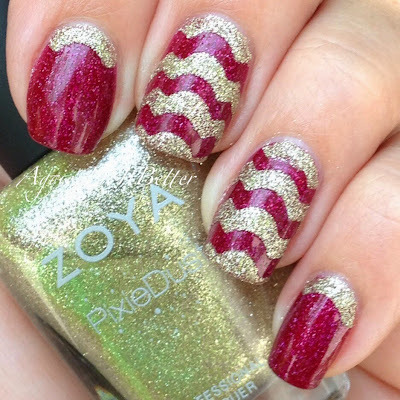 I wore yesterdays nails of Zoya Blaze for several days before I decided to add to it. The Zoya Pixiedusts are some of my favorite polishes to use for sparkly accents! 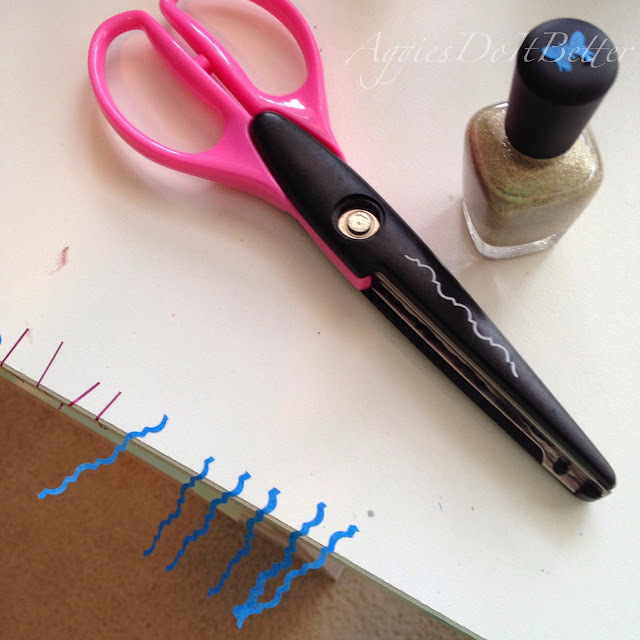 I haven't used my craft scissors for nails in forever it seems so I figured it was about time! I love using them because I can create unique, one of a kind looks! I took a couple of quick pics for a short tutorial at the end! Be sure to click "Read More" after this! It was a bit of a struggle ;) to pick one of my Pixies to go with this. I chose Tomoko, which is my most used one by far! It's beautiful and gold, and so so sparkly!!! Here's a couple pics I took. Basically, I chose a pattern of craft scissor. I use Blue Painters Tape for these most of the time. Pre cut some strips out. 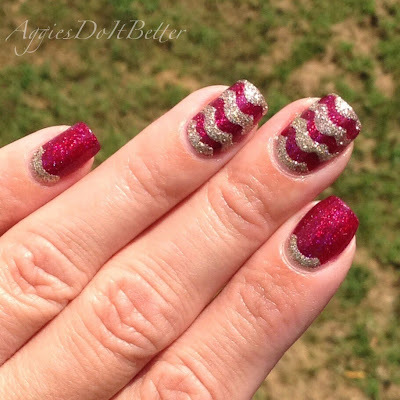 Place the strips however you like on your nail. I try to line up the tape on the scissors ( I forgot to take a pic of that because I was distracted. KIDS haha!) while cutting the strips so the patterns line up. Then place them on you be sure your polish is SUPER dry. Like I said earlier, I had been wearing this for a few days, so yep it was dry ;) Paint over it with your accent color and remove the strips IMMEDIATELY. Do not let it dry not even a little. That's it, guys! Hair Donation, OPI Visions of Love and a new do!